D) A boat full of fruit. E) DOPE LADY (CAT) OUTFIT. 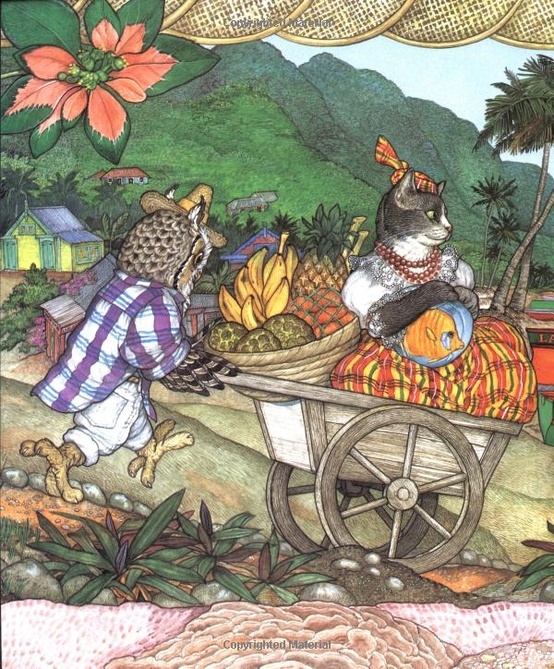 Jan Brett’s illustrations are so beautiful I am even willing to overlook certain inaccuracies in both the story and her artistic interpretations. Cat that walks exclusively on its hind legs: what. Owl to cat size ratio: huge owl or tiny cat? 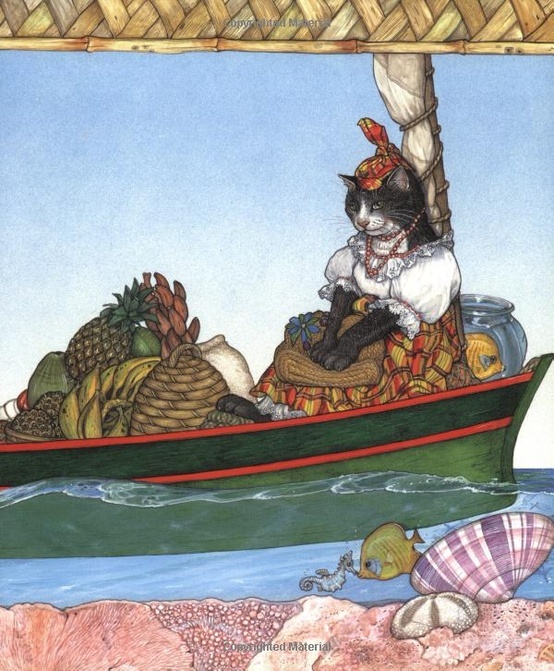 Fruitarian owl and cat: I guess a boat full of dead mice would be less appealing. 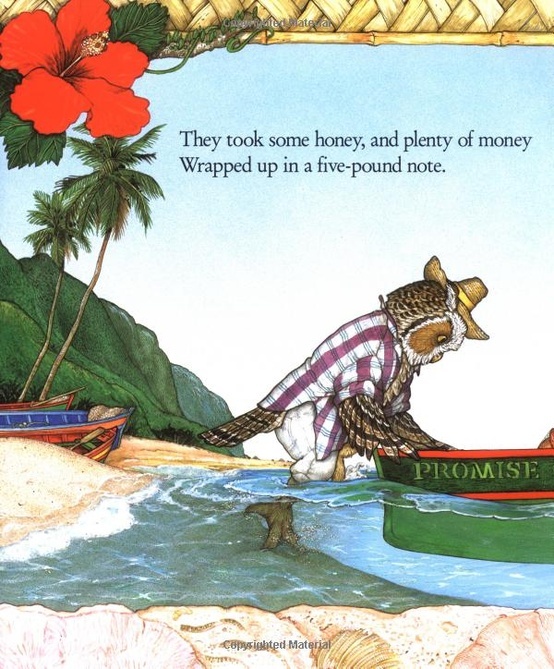 Then again, children’s books are for, well, children…who are notoriously less cognizant, so I can further forgive the unabashed use of artistic license. 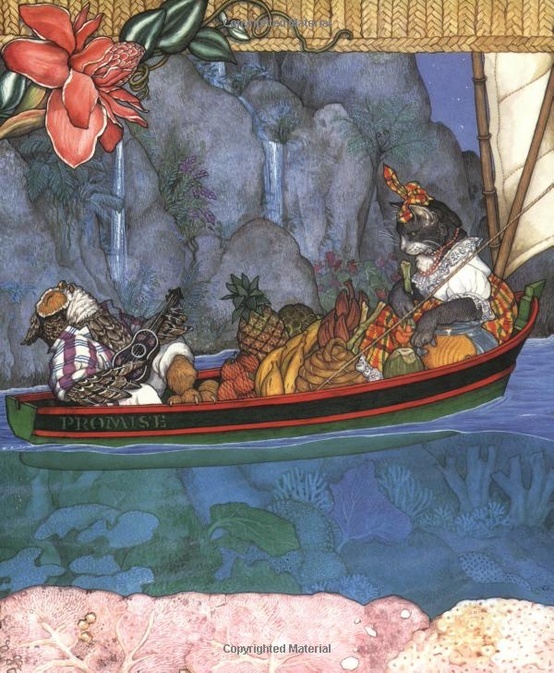 And that’s why Jan Brett deserves this month’s “Oh Hell Yes, Artist of the Month” award. Which I will be nominating for this month and this month only. Way to go Jan Brett.